Applebee's prides themselves in being the largest casual-dining chain in the world. They have restaurants in Latin America, Canada and the Middle East just to name some locations. They have a friendly, welcoming and neighborhood environment in their restaurants. This is one of the things that make customers and staff enjoy the Applebee's experience. 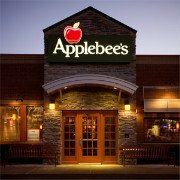 History tells us that The first restaurant was opened in 1980 and in 1989 the 100th Applebee's restaurant was opened. Eleven years down the lane, in 1998, there were 1,000 Applebees' open. As of November 2007 there were 1,965 restaurants operating in 49 US states and 19 countries across the globe. It's of utmost importance that we know the nutrition facts of the food we eat, more so fast food nutrition facts and soda nutrition facts. This is because most of us lead such busy lives and the type of food we end up eating is greatly compromised. Due to these hectic schedules we end up eating mostly fast food. However, many of us today have become health conscious and eating healthy is on the top of our priorities. This is because cases of obesity, childhood obesity, hypertension and heart diseases are fast on the rise. Diet is one major cause for these ailments. We all desire to know how to eat healthy, especially when we go out to eat. Follow the link and get a few tips. One of the things we should do when we eat out is to look at the nutritional information of the foods we choose. That way you will know what exactly you are putting into your body. It will also help you to make healthier choices of food when dining out. McDonald's is one popular fast food outlet. It is therefore a good thing for you to read the article on McDonald's nutrition facts. It will give you an insight on the meals there and help you make good, informed decisions. Some other helpful articles on fast food outlets include Chipotle nutrition facts, Subway nutrition facts and KFC nutrition facts. Also be on the look out for some salads. It may sound healthy to you out and eat a salad. But not all salads served in the fast food outlets are healthy. In fact, most of them have shockingly high amounts of sodium and fat. So this is another reason why you should look at the nutritional information of food before you eat it. You may think you are eating something healthy when in actual fact you are packing in more than your recommended daily allowances. Egg nutrition facts are also good for us to know. This is because eggs are part of most of our meal plans. We have eggs for breakfast and even in salads at lunch or dinner time. When you want to eat healthy it's important that you add fruits and vegetables into your diet. One such great fruit is a banana. Banana nutrition facts have shown us just how important bananas are for our bodies. We will now take a look at the nutrition facts off Applebee's menu.The percent daily values (DV)/ recommended daily allowance (RDA) percentages in this article are based on a 2,000 calorie diet. The recommended limits for a 2,000 calorie a day diet are 20g saturated fat and 2,400mg sodium. Your daily values may be higher or lower depending on your calorie needs. Nutrition facts on Applebee's Oriental Chicken Salad, regular size show us helpful information. Although it is a 'salad' it has a few elements in it that are not so healthy. The sodium content for one is high and the total fat is off the hook. It is almost three times the amount of fat you are to have in a day. On the positive side, this salad has a good amount of dietary fiber which is essential for our bodies, as well as protein. It will be a better choice to choose the Oriental Chicken Salad, Half in place of the regular. It has less the calories, sodium and fat. When considering nutrition facts on Applebee's Grilled Chicken Caesar Salad you once again realize that both the amounts of sodium and fat are too high. You would rather go for the half size portion. The quantities will still be a little high but much much better than the regular size portion. Facts about nutrition on Applebee's Fiesta Lime Chicken reveal once again that the sodium content is way too high. So is the fat and saturated fat content. You may be wondering why too much sodium is not good for you. For one, too much sodium causes high blood pressure which can lead to many adverse health effects such a stroke, heart failure, heart disease and kidney failure amongst many other things. Therefore you would rather stay on your recommended daily allowance for sodium and not exceed it. Applebee's nutrition facts on buffalo wings show us that they are fair in calories. However, the sodium content, again is high. The protein content is good though. The classic wing,classic buffalo, and boneless wings,classic buffalo are even worse when it comes to the sodium content. The Spinach and Artichoke Dip nutrition facts have shown that just about all the nutrients in it exceed the recommended daily allowances. With the exception of fiber, carbohydrates and protein. It therefore would not be a good idea to have this dip. It's an unhealthy food choice. These crunchy rings are from the appetizers portion of the Applebee's menu. The calories, fat and sodium content is once again too high. You may want to opt for another appetizer such as Dynamite shrimp or Chips and Spicy Chipotle Lime Salsa which both have fewer calories and less amounts of sodium. Nutrition facts on Applebee's Weight Watchers Paradise Chicken Salad show us that it's low in calories, fat and saturated fat. It also does not contain any trans fat. The dietary fiber content is also good, and it's also a great source of protein. The only problem is the sodium content. It's very high, a whole 86% of your recommended daily needs. This is from the Pick n Pair Lunch Combos part of the Aplebee's menu. Nutrition facts on this salad show us that it will be a better choice than the other Oriental Chicken salad from the Salad potion of the Applebee's menu. It has fewer calories and has a lesser amount of sodium, which is good. You would rather have this salad over the first one we discussed. Nutrition facts on Applebee's Signature Sirloin with Garlic Herb and Shrimp show us important information. The calories are few, which is good. The sodium content is however too high and the protein as it exceeds the daily values. You may want to choose another meal off the menu. The Applebee's fries nutrition facts help us to see that they are a good source of dietary fiber, which amongst other things helps with digestion in our bodies. They are also a good source of protein. The amount of sodium is not so bad but would be even better if it were lower. The Crunchy Onion rings served as a side are much better in terms of their sodium content as compared to the onion rings which are served as an appetizer. You would rather have these if you really must have onion rings! Facts on Applebee's Teriyaki Chicken in the context of nutrition show that it is high in dietary fiber and protein. However, it exceeds the daily recommended allowance of sodium, and this is not a good thing. Having said all this. 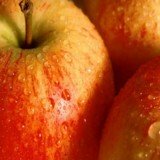 There are a few tips that Applebee's advise their customers who want to eat healthy. Try and select your entrée from their variety of their Unbelievably Great Tasting and Under 550 Calories or Weight Watchers® endorsed menu items. You may also ask for reduced fat dressing, if available. You can ask for dressings and sauces to be served on the side. It will be a good thing to substitute a side salad, steamed vegetables or fresh fruit in place of mashed potatoes, fries or onion rings. 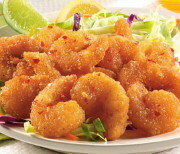 You can also substitute grilled chicken or shrimp in place of fried chicken or shrimp. One last thing, select the half portion of any of their Signature Salads. With these tips and suggestions, you are surely off on a good start to eating out healthy.